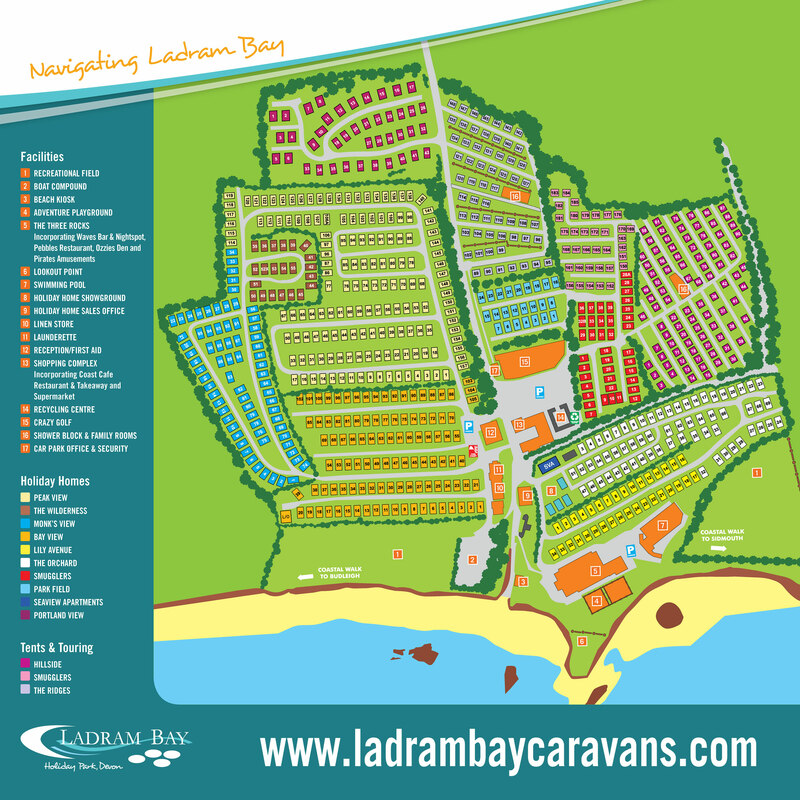 Facilities and Park Map | View the facilities at Ladram Bay. 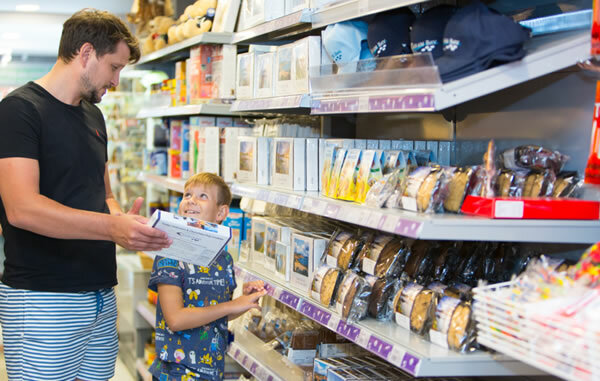 You won't have far to go for your local newspaper or a pint of milk, with the well stocked on site supermarket and gift shop that has been serving guests for over 50 years, so you can be assured that they know exactly what you will need during your holiday. Many people want to start getting fit or continue their healthy lifestyles whilst on holiday. Ladram Bay Caravan Park has a gym for you to use. It is only available to adults and accompanied young adults (16-18). No children will be admitted. Everyone wants to keep in touch these days. 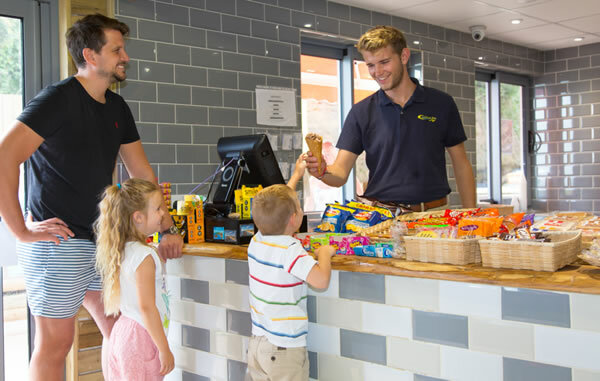 This is made easy at Ladram Bay Holiday Park with free Wi-Fi available within the Three Rocks Complex. Vouchers are also available from reception, at additional cost, to obtain Wi-Fi access within your holiday home and across the site. For enquiries regarding boat/kayak hire, slipway fees and general fishing sales please visit the Boatmen on the beach or call reception on 01395 568398.